After weeks of abnormally warm weather, the first signs of cooler weather made their appearance in western North Carolina. Two mornings provided temperatures in the lower 30s with light, non-killing frosts. These cooler mornings produced little activity in the apiary. As we moved into late October, the cooler weather finally began to make alterations in the bee’s behavior. However, by the weekend, daytime temperatures were back into the 70s producing normal behavior in the apiary. But, it is clear that we are now experiencing cooler evening temperatures and the amount of forage available for the bees is declining rapidly. This week I want to continue my discussion about next season’s plans and further flesh in details. In that vein, I will share a synopsis of a great article about nucs that was in the October issue of the American Bee Journal. But before we have that discussion, let’s see what additional changes are happening in the apiary. With the suddenly shifting weather patterns, this beekeeper is going into hyperdrive to make sure everything is ready in his colonies! The Apivar strips are due to be removed on October 31st. As I will be traveling that day, I will either remove them on October 30th or on the following Saturday weather permitting. Hive Rome’s single Apivar strip will be removed the week after October 31st. I have seen no further obvious signs of Varroa Mites but will be testing immediately after removing the Apivar strips. So, let’s discuss changes in the hives. With the addition of raw pollen, the decline in robbing incidents, and general calm, the colony is taking a turn for the better. A week away in Portland certainly had me wondering about the progress in winter preparations in the hives. Of course, knowing the challenges Hive Rome has had, I am always concerned about its progress. The colony is showing signs of growth. The workers are now taking sugar water from both of the bottle feeders inside the hive. They are also avidly consuming the raw pollen I have been providing. After checking the food stores, I began my inspection of the frames. Surprisingly, I found Cornelia on the first outer frame in the hive. She was actually a tiny queen when I first got her. But a few weeks of proper nutrition, as well as time to fully develop, have turned her into a robust mid-sized queen. She is definitely an Italian with all of the classic Italian markings. The first frame had a combination of eggs, larvae and capped brood as did two other frames. In fact, Cornelia had filled one of the frames almost entirely with freshly laid eggs. Go Cornelia!! During my trip, more fresh honey appeared in the hive. The workers have been busily building up the honey stores since the robbing attacks ended. They are nowhere near where they need to be and won’t be by winter. I will have to feed this colony all winter to assist it in overwintering. A fair amount of the capped brood has begun to emerge. Although there was some evidence of robbing attacks, they were not significant leaving almost an entire deep frame of honey intact. If I can catch a stretch of warm days, I am going to add a frame or two of honey and workers to this colony. Hive Florence is still overflowing with bees and consuming sugar water like it is in limitless supply. They can certainly spare some population and food stores. In addition, I am continuing my feeding regimen of sugar water and raw pollen (a note on feeding raw pollen this time of year is warranted a little later in the post)! I have been investigating winter food provision for this colony. One option is fondant which also serves as a great protection against moisture in the hive during winter. But, I’m concerned that the colony may need more of a boost than that. So currently, I’m looking at purchasing Dadant’s AP23 Winter Patties fortified with Honey-B-Healthy. AP23 is a high carbohydrate feed that contains sugar, AP23 and Honey-B-Healthy which is designed for use with colonies that are light on stores during the winter months. For those who may not be aware, AP23 is a pollen substitute fortified with probiotics. The concept is to provide optimal intestinal well-being in honeybees. I’ll be honest that I’m a bit skeptical of many of these claims but Dadant has both a long history and track record for quality products. After months of worrying with this colony, I do feel like things are taking a much more positive trend. It had been two weeks since I took a look inside Hive Acquitaine. That’s almost too much time for my natural curiosity to accept!! So, when I opened up the hive, I wasn’t surprised that the colony had managed to completely drain one reservoir in the top hive feeder while I was gone to Portland. The workers also managed to nearly drain the second reservoir. That was a good sign for the honey stores in the colony. As is usually the case, a few small hive beetles were wandering around in the feeder. I happily crushed every one of them! In the two weeks sense I last examined the hive, the workers had managed to seal the top hive feeder to the medium box with wax. Naughty, naughty girls!! And yes, in case you don’t know, I talk to my bees while I’m working them – something which probably more than amuses my neighbors. It took a bit of work to break the seal and remove the top hive feeder from the colony. But, once I managed to break the seal, I found some great progress in the medium box. The colony has done a great job of filling the medium frames with honey. But, they still have small amounts of open space to fill yet. At the rate in which they are creating honey, I have no doubts that they will manage to fill this box with honey before the winter season begins. A frame with the queen, Eleanor. Naturally, they had built a small amount of burr comb connecting the medium frames to the upper brood box. So for anyone that says bees stop producing wax in the fall, well I have honeybees that are evidence of the contrary. Moving into my inspection of the upper brood box revealed more good news. In this box, there are roughly 4.5 frames of honey and 5.5 frames of eggs, larvae and brood. Cooler weather has apparently catalyzed Eleanor into full on winter bee production. I found Eleanor about mid-way through the upper brood box looking for another place to lay eggs. She has been quite busy in the past few days with at least one frame almost entirely filled with freshly laid eggs. Moving on to the lower brood box, I found quite significant stores of honey. But in addition to significant honey stores, I also found a number of frames containing significant pollen stores as well. There were even small amounts of brood and one frame containing eggs. With a very successful inspection completed, I reassembled the hive and partially refilled the top hive feeder. A complete refill will happen Tuesday or Wednesday. 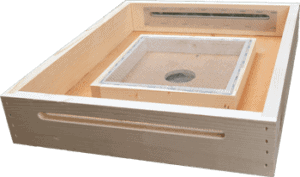 A Vivaldi Board has an area for moisture soaking burlap plus a screened feeding area. Placing Fondant along the tops of the frames in the medium box for additional food and moisture retention. I intend to do my level best to provide the most optimal chance for my bees to overwinter successfully. It has also been two weeks since I had a chance to inspect Hive Olympus. With cooler weather now present, my efforts are intensifying so all is in place in time for the freezing temperatures soon to be upon us. Opening the hive, I found that the colony had consumed about half of the sugar water in the top hive feeder. Of my three larger colonies, this colony has been the one to start evidencing reticence for the sugar water. There were a number of small hive beetles of varying size wondering around in the feeder. I crushed them mercilessly. Why is it that I get such satisfaction from crushing these little black beetles! Just like Hive Acquitaine, the workers had sealed the top hive feeder to the medium boxes frames. It took a bit of work to disconnect the frames and the top hive feeder before I could remove it from the colony. I was curious to know how the colony has done at replacing the small amount of honey I robbed from the medium box for Hive Acquitaine. I wasn’t too surprised to find that they have almost completely refilled all of the extracted honey. This colony has a beautiful dome of capped honey atop it. Athena had even laid a eggs in five cells in the medium box before the colony could fill those cells with honey. As I inspected the medium box, I had to break a small amount of burr comb connecting some of the medium frames to the upper brood box. I had to then clear the wax and honey from the upper brood boxes frames before I could continue my inspection. The colony has stored plenty of honey in the deep frames in the upper brood box. The upper brood box is about half brood and half honey stores which is very similar to Hive Acquitaine. There are going to be plenty of winter bees for Athena to survive during cooler weather. I found her wandering around in the upper brood box. As she has grown into her full-size, she is incredibly like her mother, Hecate. She is not quite as large as her mother but she has significantly darker markings on her abdomen than a full Italian queen. So, the one queen my colonies raised and got successfully mated is a hybrid Carniolan-Italian. And she is definitely as prolific as her mother. I did find a real surprise in the upper brood box. This colony is still raising drones. Usually, by this time in the season, the drones are summarily kicked out of the hive. They are no longer useful to the colony. So, if there is any doubt that our warmer climactic patterns have altered our bees behavior, this was a very clear sign. There were also a couple of empty queen cups in the swarm position. The lower brood box has far less brood than the upper brood box. And, it is also quite a bit lighter on honey stores. The smaller amounts of honey stores is a bit concerning but I found plenty of signs of the bees stocking up the frames with honey. It also appeared as if there had been an attempt to rob the colony, as I found a large amount of dead bees on the bottom board. I cleaned that out for the colony. I completed the rest of my inspection and reassembled the hive. For this colony, I am considering the same two options as for Hive Acquitaine, namely the Vivaldi Board and the Fondant. I performed a full inspection of Hive Florence last week. Due to cooler temperatures, I decided to not chance being in this hive too long in cooling weather. I did open the hive to check on the status of the top hive feeder. One reservoir was empty while the other one was nearly empty. I killed four small hive beetles and drained the remaining reservoir so that I could remove some significant numbers of small hive beetle larvae. Those small hive beetle larvae just give me the creeps! I had enough sugar water in reserve to refill the top hive feeder completely. I need to complete a top to bottom inspection of this hive prior to winter. But, beyond that, I intend to follow the same two options I have chosen for Hive Acquitaine and Hive Olympus, with the Vivaldi Board and fondant. Before I wrap up this week’s blog with some thoughts on nucs, I wanted to make a few observations from something I read in an online beekeeping forum this week. You noticed that I have been feeding raw pollen to Hive Rome for a couple of weeks now as they are light on foragers. So, what did I read in a Facebook beekeepers forum this week that actually made me take a double-take? As I was reading an exchange, I noted that a beekeeper was feeding raw pollen and was castigated by a fellow beekeeper that they should not be feeding raw pollen at this time of year because that would cause the bees not to raise winter bees. Yes, you read that right. Feeding the bees pollen would result in them raising summer bees. I refrained from making obnoxious comments but it reminds me how much misinformation is out there for new beekeepers. So, let’s have an educational moment shall we? Faithful reader, what do honeybees feed their brood? Yes, it is a rhetorical question because all of you know that they feed royal jelly for the first three days and, unless they are raising a queen, they then switch over to bee bread which is made of what? Yes, POLLEN! It takes pollen to raise spring bees, summer bees, and WINTER bees! Bees don’t raise brood without the presence of pollen, regardless of what season you are in. So, don’t take everything you read in online forums at face value! I have not had the chance to completely read his work yet but it is clear that it draws on concepts taken from Langstroth, Doolittle, Brother Adam, and Mike Palmer to name a few. 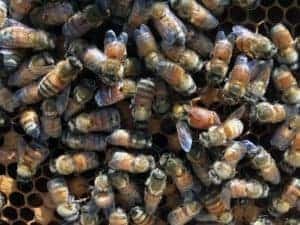 The nucleus colony, or nuc, has gained greater importance as beekeepers have experienced greater losses of bees in our apiaries. But, the nucs have many different uses that help us maintain and expand our beekeeping activities. 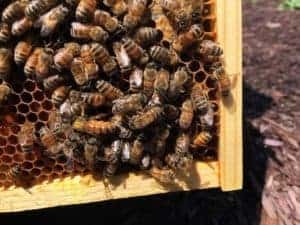 What’s more, in case you haven’t checked, a nuc provides a quicker start for a establishing a new colony because it normally comes with five frames of bees, an already accepted laying queen, and food stores. A nuc jumpstarts the establishment of a new colony. Compare the start of a hive using a package of bees with that provided by a nuc and you will see the difference. And, in case you’re thinking about making a business out of your beekeeping, have you checked the prices on nucs? Nucs come at a greater premium than packages. Creating a nuc from a full-size colony (sometimes called “splitting” a colony) is a good way to alleviate swarming tendencies in the split colony (hereafter called the “parent” colony or colony from which the nuc was made). Nucs provide a tool you can use to keep your production colonies strong. Having a nuc on hand allows you to deal with untimely queen problems encountered in production colonies. Nucs can be used to strengthen weak colonies. Producing nucs is a great way to expand your operation. Having nuc equipment on hand provides a place to hive swarms. I want to take a few moments and speak to these seven benefits of nucs in the apiary. I believe that two of Ellis’s seven benefits of nucs to closely tied together. Numbers 1 and 5 are converses of the same concept. 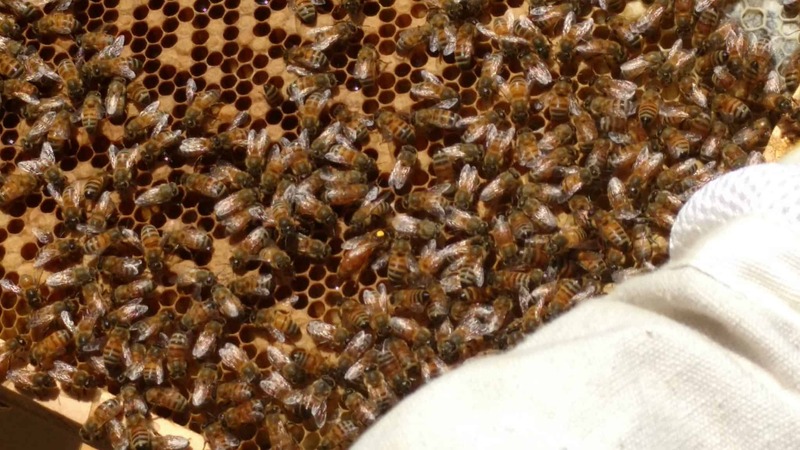 Most of us experience the issue of swarming tendencies in our hives in the early spring. This appearance of the swarming tendencies in honeybees is just part of their natural genetic makeup. After all, the swarm is simply a natural form of splitting the hive that turns one colony into two. Thus, it makes sense that we may create a nuc from a full-size colony to create an artificial swarm. There are a number of ways that beekeepers approach splits. 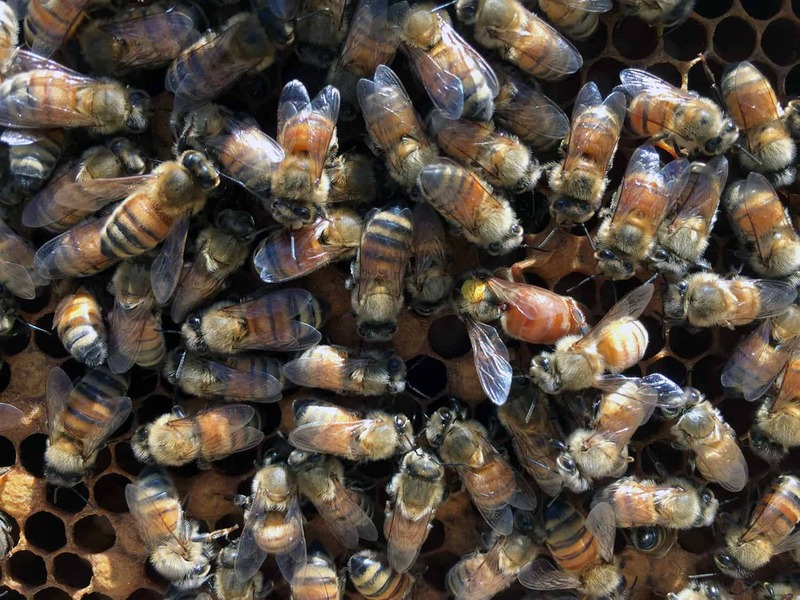 But, the most common approach to a split is to take five frames of brood, food stores, and the old queen and build a nuc from that core group of frames. That simulates the queen leaving the colony and will cause the bees to utilize the swarm cells that they have already produced to raise a replacement queen. Some beekeepers, once they remove the old queen and simulate the swarm, go ahead and remove all of the swarm cells in the parent colony and insert a caged queen to provide an already-mated queen. Others allow nature to take its course and allow the parent colony the time it needs to raise a new queen. It is important to note that during the roughly three to four week period that the colony is queenless they will not be productive if there is a nectar flow currently happening. Part of the process of producing a split addresses Ellis’s fifth benefit of using nucs in the apiary, expanding your operations. So, think about it, if you have three colonies and you perform three splits you end up with six colonies. Not bad for a couple of hours work in the apiary. In addition to splits which expand your operations, numbers 2 and 4 are also related to each other. 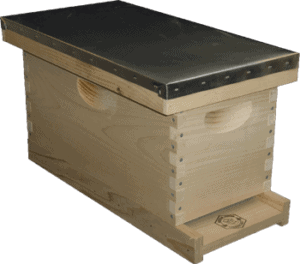 Nucs provide a great method for strengthening existing hives in your apiary. At times, some of our production hives are weak whether that be from robbing attacks, attacks from Varroa Mites or other parasites, or poor nutrition coming out of winter. In those cases, available nucs may be used to strengthen those weak hives. But, in like fashion, sometimes you want to strengthen an already strong hive going into a honey flow. In those cases, you might use a nuc to augment the already strong colony with additional brood and bees. 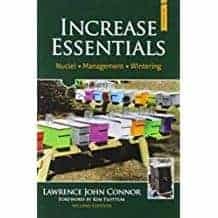 Typically, Ellis points out that beekeepers who want to strengthen colonies ahead of honey flows should be done roughly three weeks ahead of the flow. At times, you are going to lose a queen. That could be loss due to a swarm, loss due to inadvertently rolling your queen during an inspection, or a queen dying from old age or disease. In those cases, the colony loses productive time while they are not queenright. If queenlessness occurs during the honey flow, the colony will focus on raising a new queen and not on collecting nectar. So, in an instance where you lose a queen in the apiary, having nucs readily available with mated queens provides the opportunity to quickly replace the queen by uniting the nuc with the production colony. You lose the nuc in the process but you gain a quickly productive colony during the honey flow. Additionally, these queens have been raised locally so that makes them more adaptable to conditions in your region. Producing nucs can be a lucrative exercise. If you compare the cost of a nuc to that of a package of bees, you’ll find that the nuc is quite a bit more expensive than a package of bees. This extra cost is worth it because the nuc provides you with a starter colony where the queen is not only already mated but is actively laying in the nuc. There is no down time during which you have to wait for the bees to accept the queen and allow her to get started. This makes nuc production a really great way to have an additional source of income to support your beekeeping activities. Of course, a perfect use for nuc equipment is in recovering swarms – your own or swarms that appear in the area. As a swarm is roughly half of a full colony during the spring, it will fit in a nuc at least for a short time before you hive it in a regular hive. And, if you really want to expand your operations, get on a swarm response list for your community and go rescue swarms discovered throughout the community. This is another great way to increase your apiary as these are truly free bees. We need to pay closer attention to nucs during the year than a full-size colony. Nucs may very easily exhaust their food supply rapidly, especially during winter. To me, Ellis has outlined some common sense issues if you stop and think about a nuc. A typical 5-frame nuc is half the size of a full-sized 10-frame hive. You are starting from a compressed format for the hive which means you have less room for mistakes. These facts mean you start out needing to pay closer attention to these colonies. Even without the robbing attacks on my nuc, I like to keep an eye on it to ensure that everything is functioning as expected. Given that nucs are smaller, there is less room for error as the bees have smaller stores of food to work from, meaning that in winter you better be monitoring during warm days to ensure that the bees have food. What’s more, during the warmer months, you have to make sure they don’t outgrow their hive. If they feel too congested, they will swarm. And, if you remember, I actually saw a Varroa Mite on a bee in my nuc. Nucs compress a lot of bees in a small space. The same can be said of a colony where you aren’t monitoring for diseases. It won’t take long in this smaller colony for a disease or pest to get out of control. Connor, Lawrence John. Increase Essentials. 2nd edition. ISBN #978-187807532. Ellis, Jamie. “Field Guide to Beekeeping: The Indispensible Nuc.” American Bee Journal, Vol. 157, No. 10, pp. 1063-7. I really encourage you to get a copy of this article and read it because I have really only provided synopsis of the wealth of information provided. I feel like this blog post has grown long enough but I am outlining next week’s post already. So, next week, I’ll bring you more updates about how my colonies are doing in the suddenly much cooler weather that has arrived in western North Carolina. But, the bulk of next week’s post will outline my now solidified plans for next season. I’m excited to outline and reveal it to you.